Aan een seminar deelnemen? Klik op de aanmeldlink van het betreffende seminar en vermeld vervolgens de datum(s) van deelname. 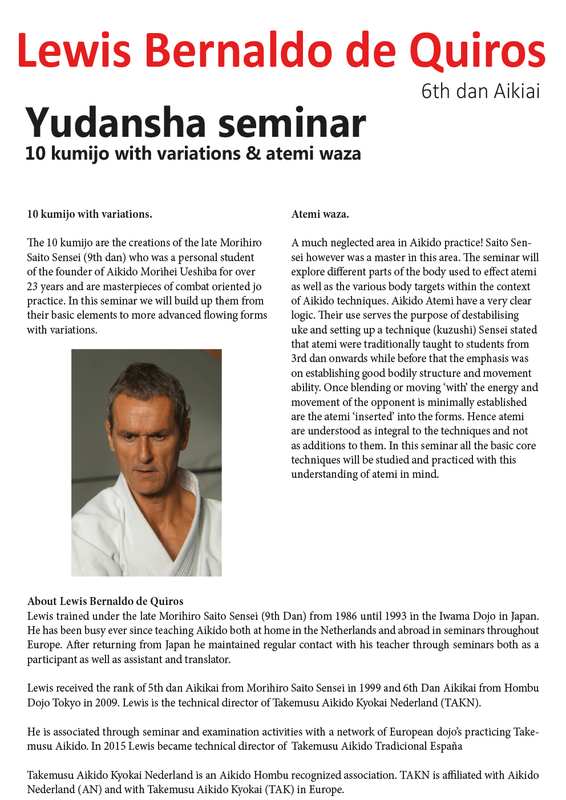 Weekend seminar with Lewis Bernaldo de Quiros (yudansha only!). Weekend seminar with Lewis Bernaldo de Quiros. 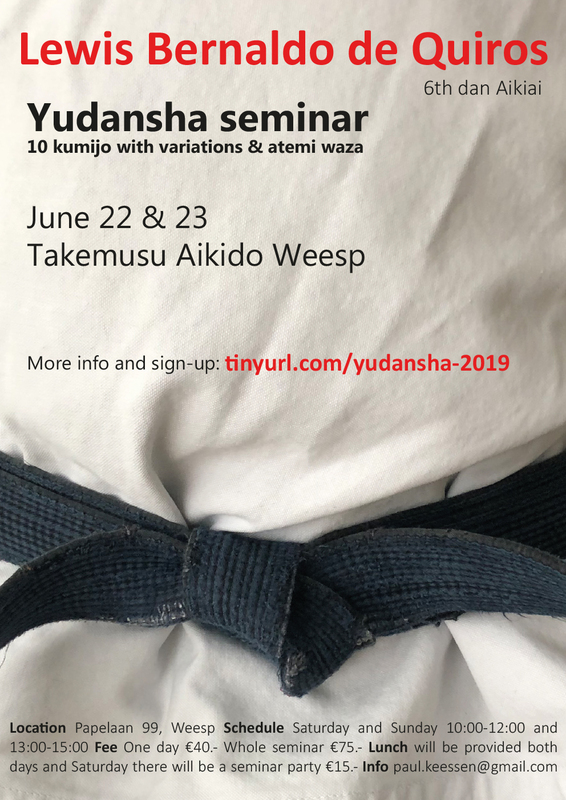 Additional friday class for yudansha. Weekend seminar on Bukiwaza with Lewis Bernaldo de Quiros. This international camp with Lewis Bernaldo de Quiros is an opportunity for intensive training and sharing with aikidoka’s of all levels of experience and background. 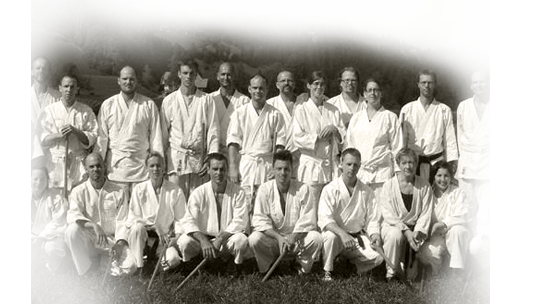 A residential event such as this allows for an ‘immersion’ experience into aikido practice that is in many ways unique.